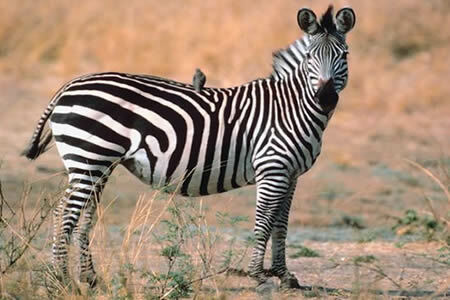 The Plains (or Common) zebra is the third of the three zebras species we'll look at. 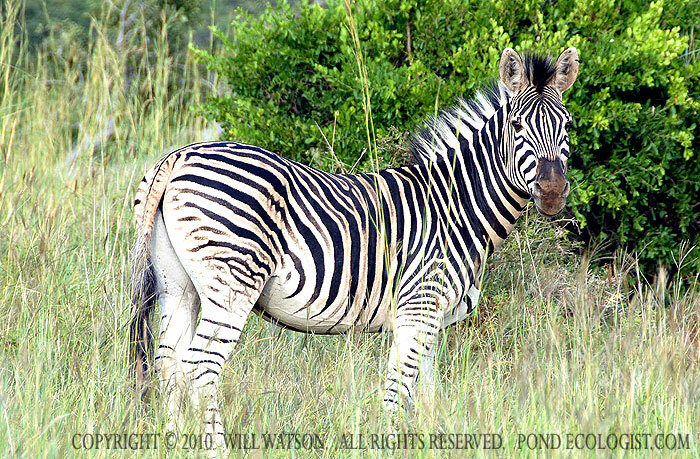 2nd IK: Broad pattern of stripes on flank are horizontal and change to vertical halfway across the zebras body...about mid-belly. 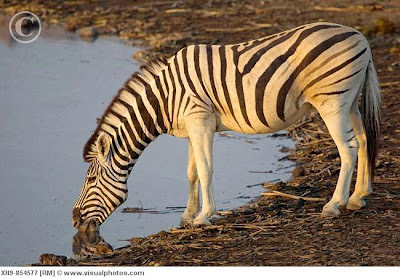 Has underbelly stripes. 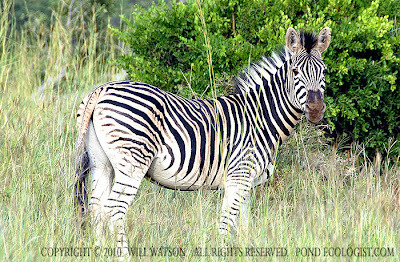 3rd IK: Back stripe down back and into tail, surrounded by broad rump stripes. 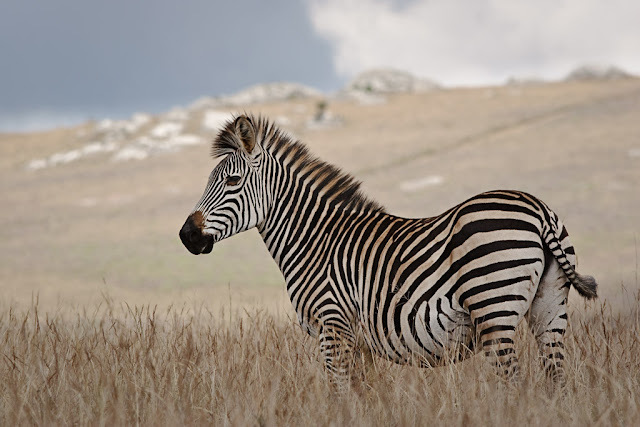 These IKs will soon have you able to choose the Plains zebra out of a whole herd! Stay tuned for my next post which will test your knowledge of all three zebras. And check out my zebra painting "Zebra Story"; it was awarded first place in the last art show.